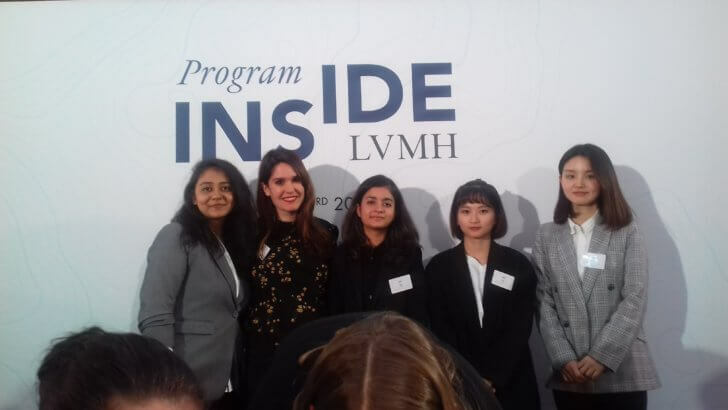 The INSIDE LVMH PROGRAM closing ceremony took place on May 3rd in the Atrium of the LVMH Headquarters, avenue Montaigne in Paris, the world leader in luxury. 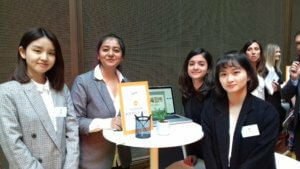 During this exclusive afternoon, the TBS Paris, Team Hawk – W. Quan, P. Singh, S. Swati, X. Zhang and R. Chai- had the opportunity to present their project and to connect with LVMH Maison Senior Executives. 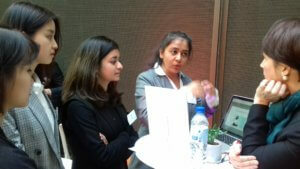 Coached by LVMH managers, the TBS students were then invited to pitch their innovative and new concept (an instore helping tool for the salesperson in assisting the customer in choosing gifts for others) to Senior Executives and representatives from Bvlgari, Louis Vuitton, Kenzo, Dior, Givenchy and Dior brands. The event started with a welcome speech of Bernard ARNAULT, chariman and CEO of LVMH and closed with LVMH maisons Marketplace and a networking cocktail. This event was part of the INSIDE LVMH PROGRAM, an online program dedicated to young talent from 48 top European universities and business schools. The topic was to “imagine the luxury experience of tomorrow and to build the future of tradition”. This programme was conducted in the framework of the course “Innovation Marketing : From idea to value creation” taught by Dr. Linda HAMDI-KIDAR and Dr. Cyrielle VELLERA.